Welcome Miss Clara…10 days new, and as sweet as can be. Clara was born on 8/21 and weighed 7lbs. After speaking with Mom, Kylee and Dad, Landon, we decided to go with super simple neutrals with a girly flair, for Clara’s newborn session. Pastels, creams, tans, with a small pop of color, and I just love how they turned out! As a newborn photographer, we have all had the sweet little babies that were only content with being on their tummies. Well, beautiful Clara was the exception. She loved, loved, loved being on her back. We were still able to catch some sweet poses while she was on her tummy, but she settled a lot better once I was able to place her on her back, so that she could stretch out. I am a sucker for a stretched out, relaxed baby, so whenever we find a pose that baby is loving, we roll with it. She loved being swaddled. Bonus! This gave us plenty of opportunity for those beautiful Mom, Dad, and family shots. 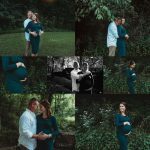 We love capturing baby’s tinyness in Moms arms, being held by Dad, and being held by both. ❤️ What is your vision for your new babies first photos?? Shoot us an email or give us a call to set up your babies newborn photos.